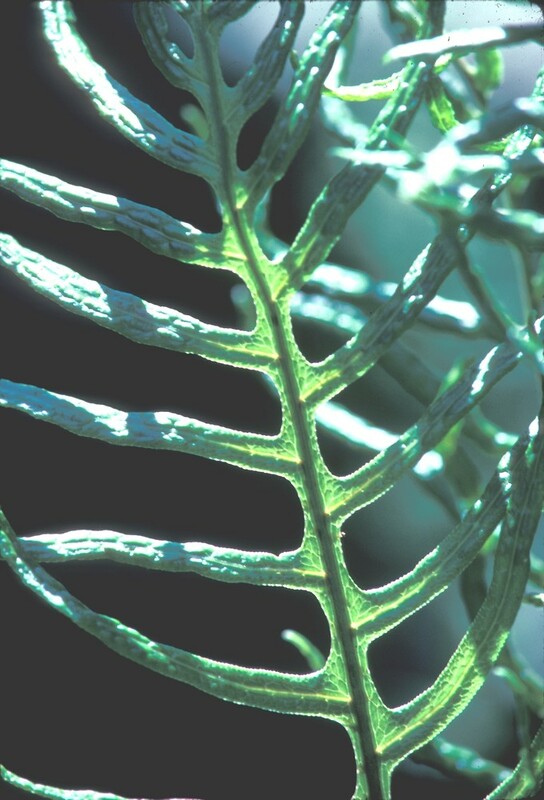 Key Characteristics Many true ferns have highly dissected, feathery leaves. 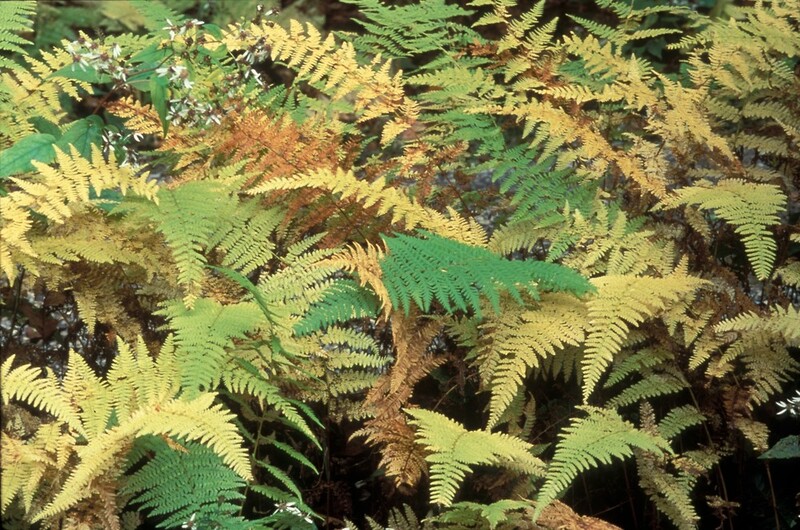 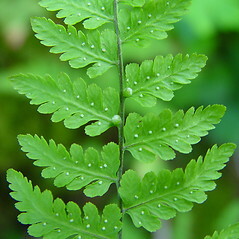 Look for spores on the underside of a leaf or on a separate leaf or specialized portion of leaf. 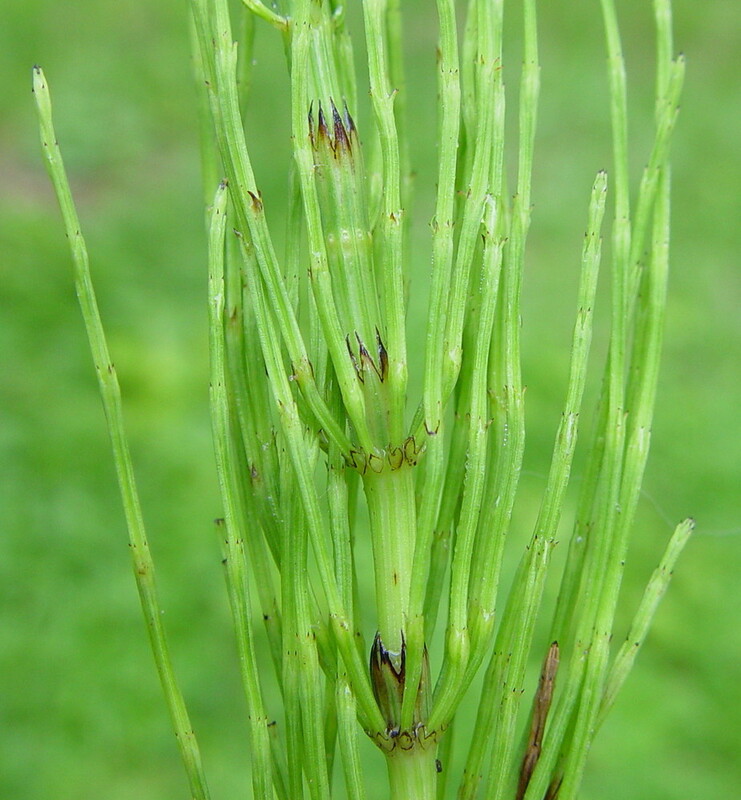 Spores look like brownish dust when ripe. 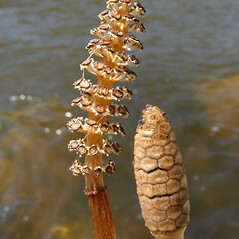 The structures bearing spores are often grouped into clusters called sori. 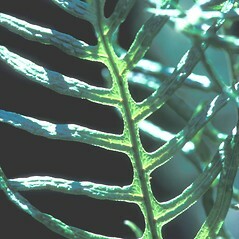 Sometimes sori are covered with a special flap of tissue on the edge of a leaf, or take the shape of beads or goblets. 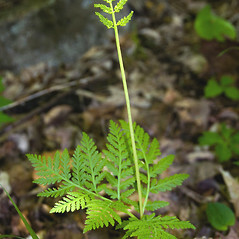 Exceptions You'll never see a flower on a fern! 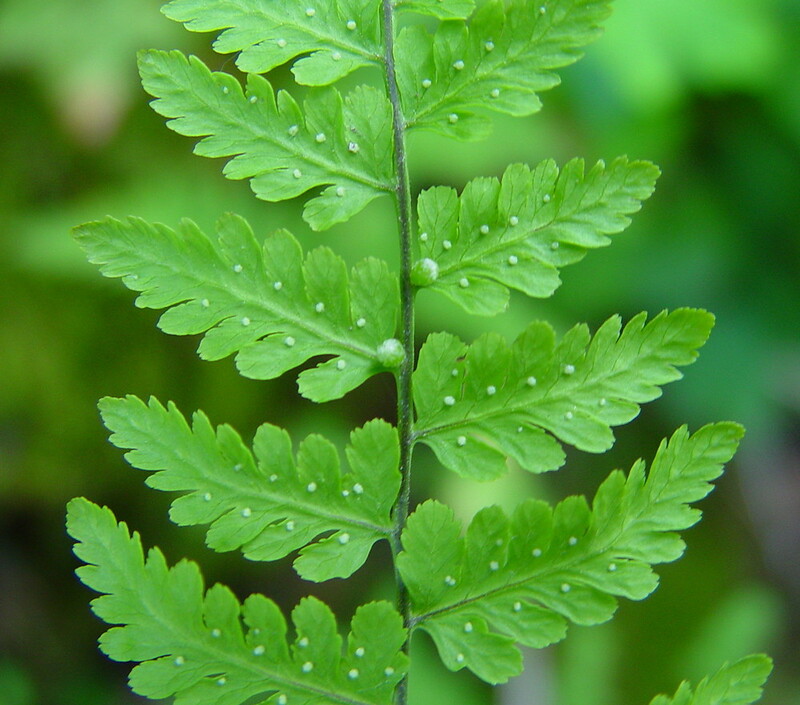 Some flowering plants have very feathery leaves, so look carefully to see if flowers or fruits are present. 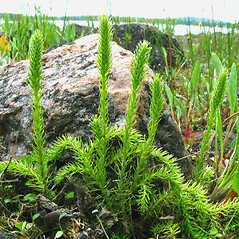 Key Characteristics These are spore-bearing plants with simple, unlobed, often scale-like leaves. 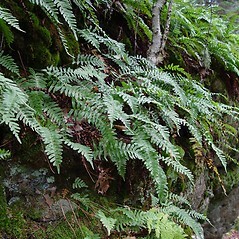 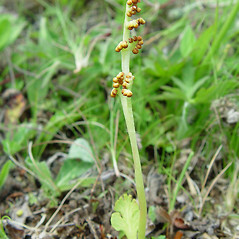 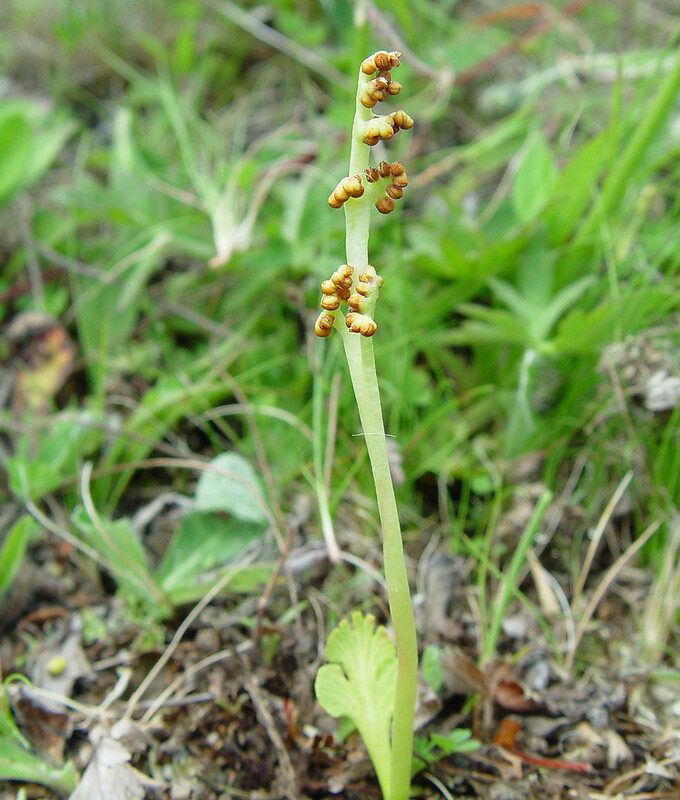 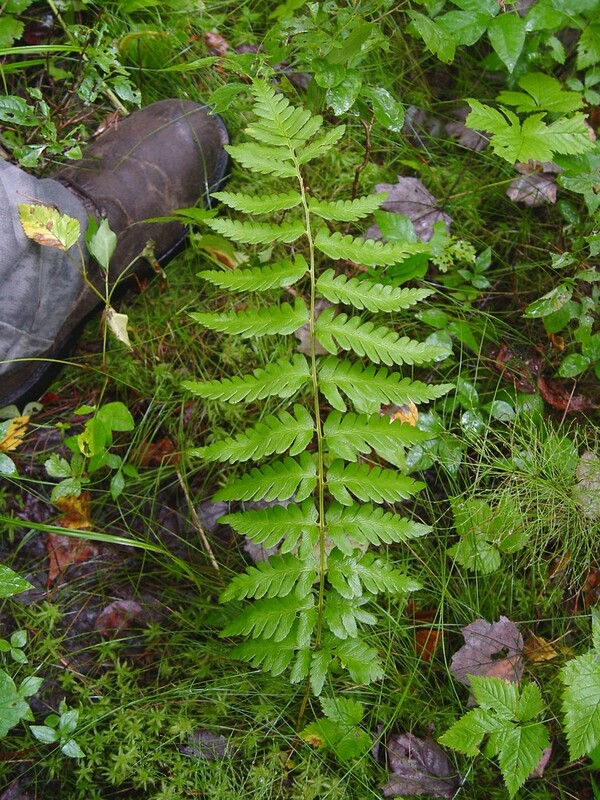 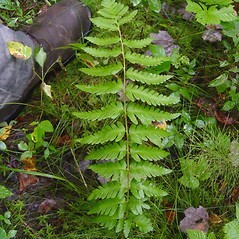 Many grow along the ground attached by horizontally running shoots. 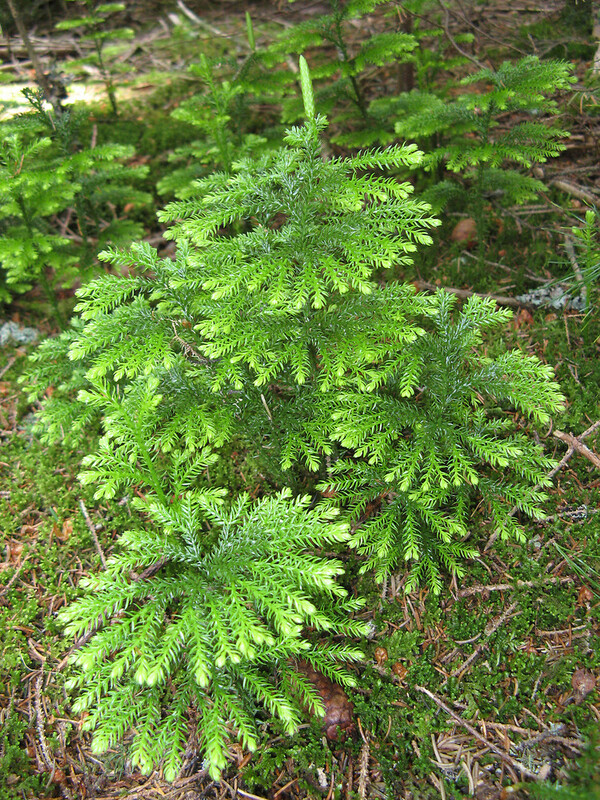 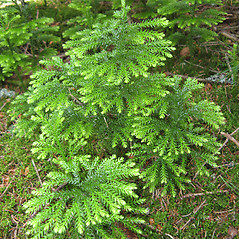 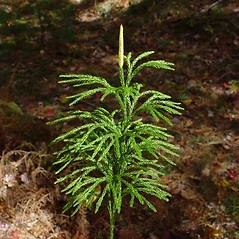 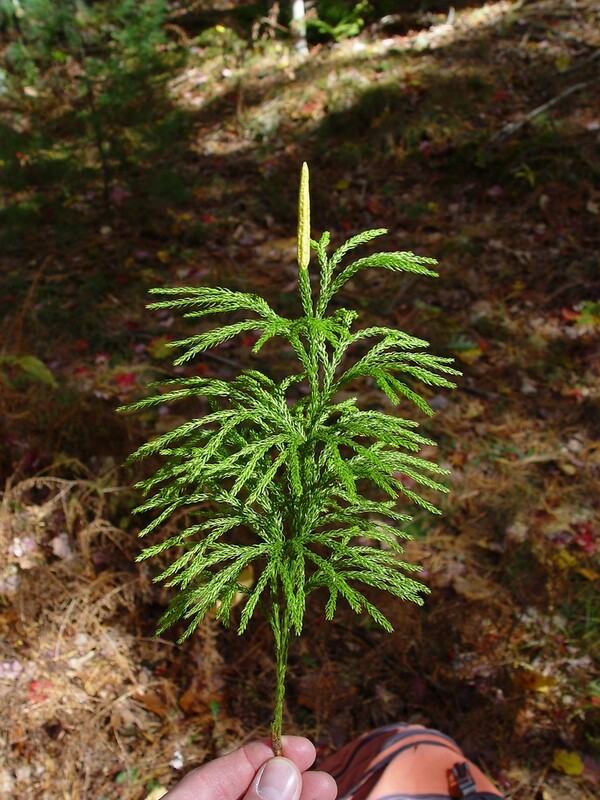 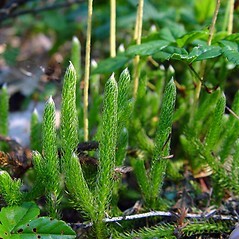 They may have single upright stems, or be branched and look like miniature trees. 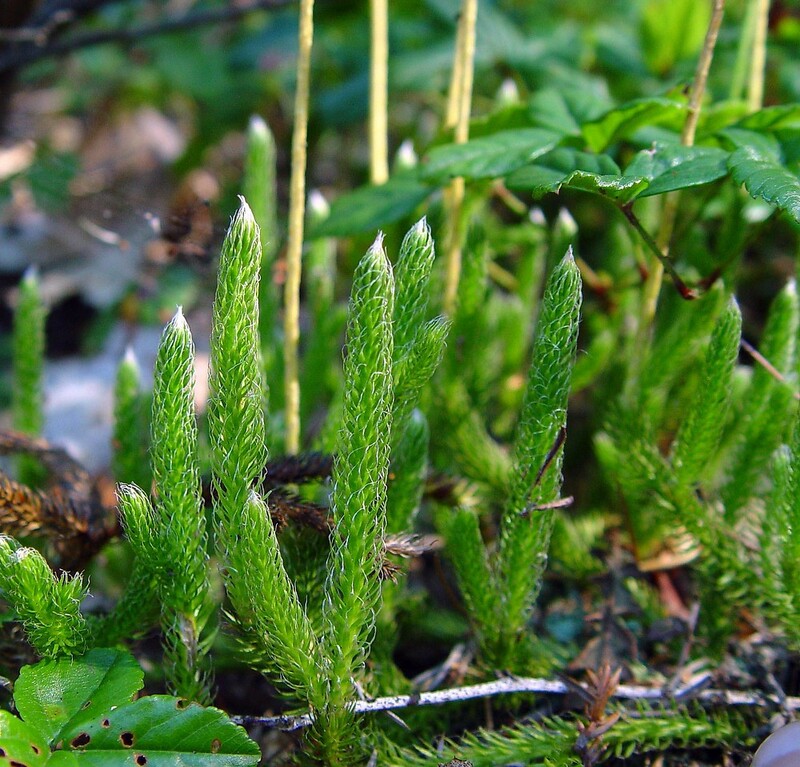 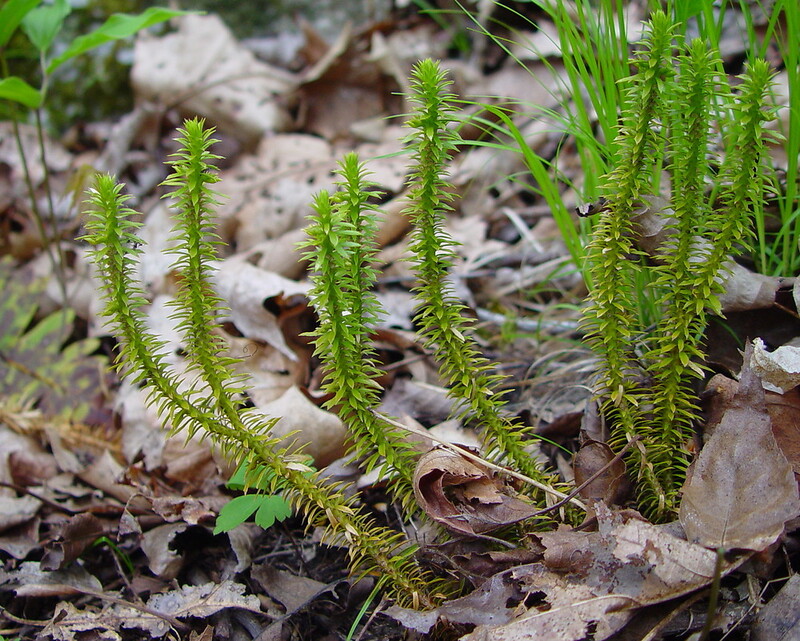 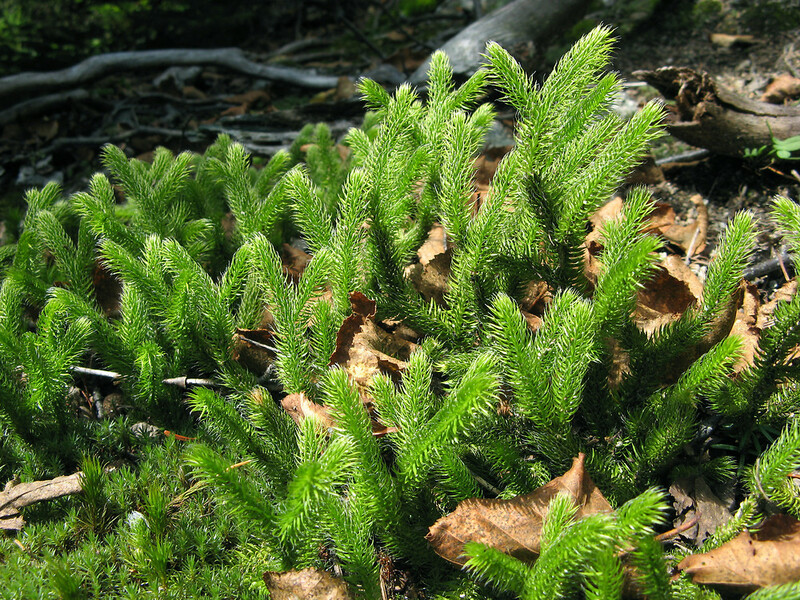 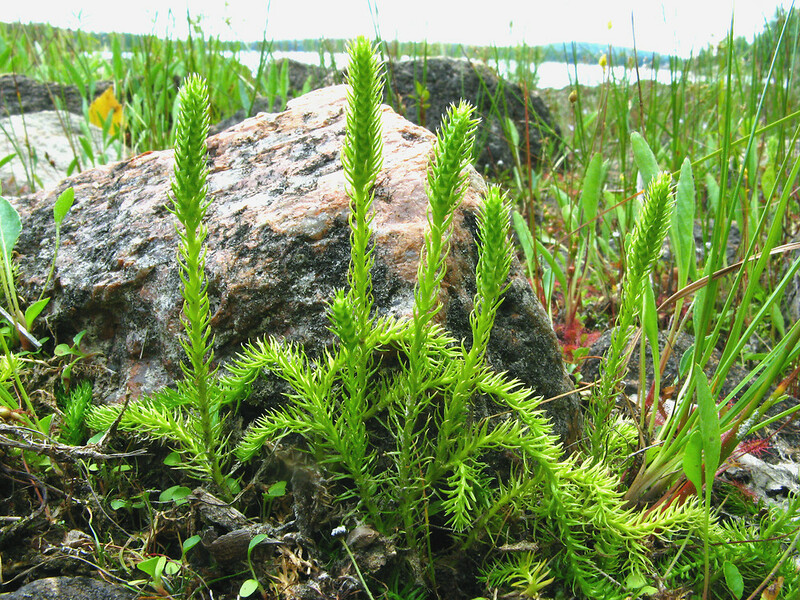 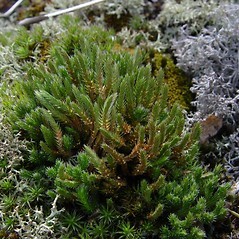 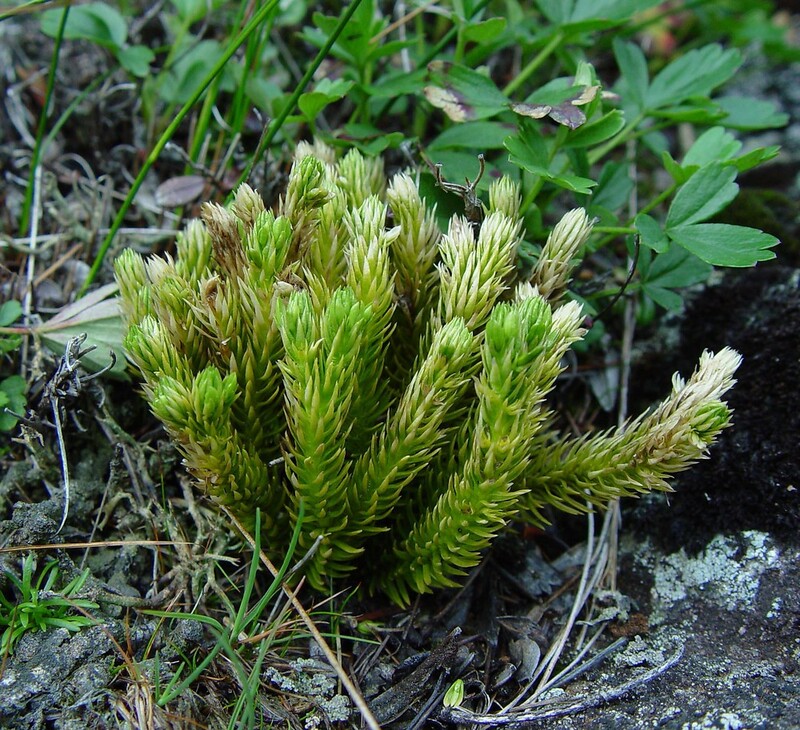 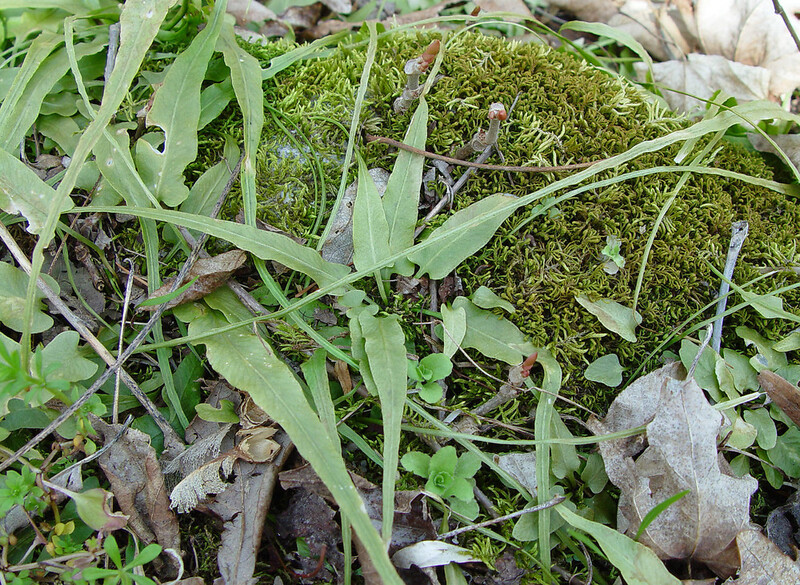 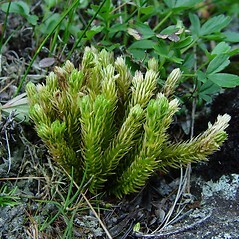 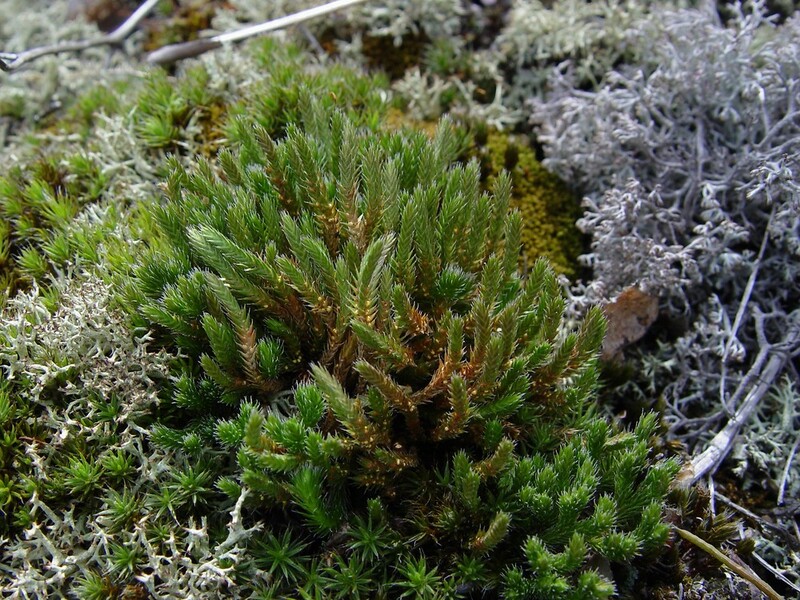 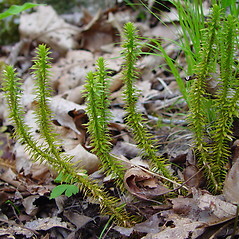 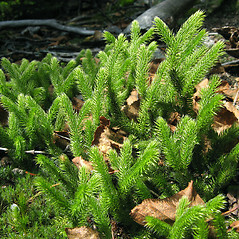 Some species (e.g., spikemosses) look like true mosses with tiny leaves. 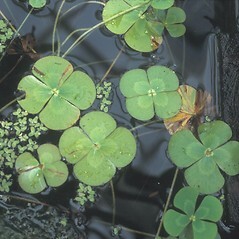 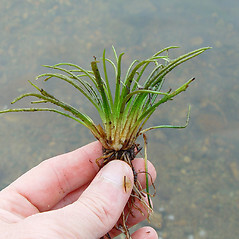 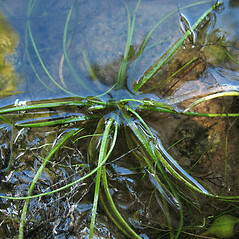 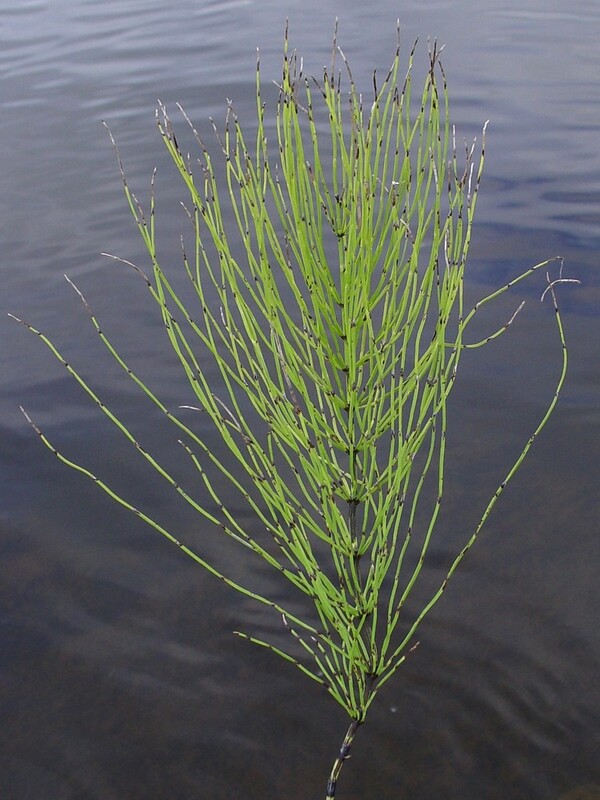 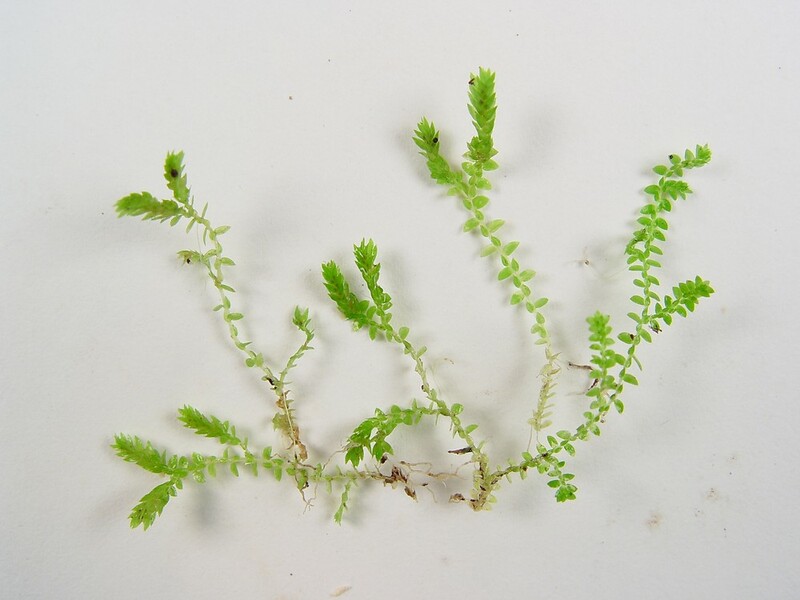 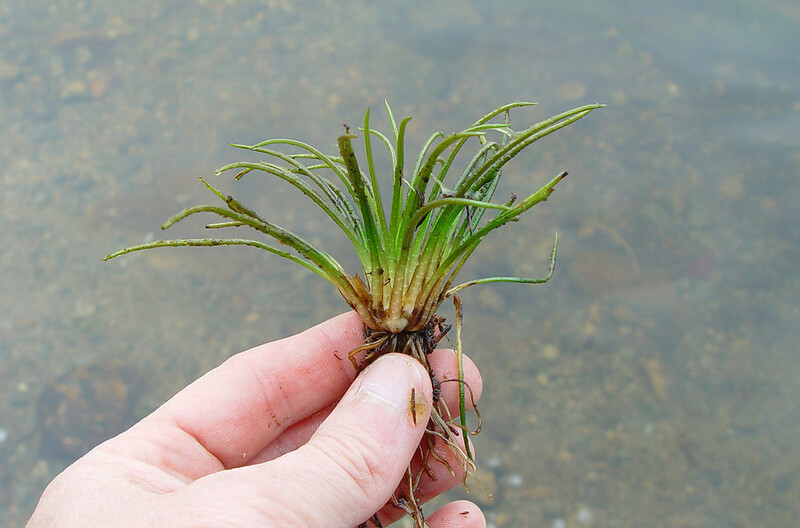 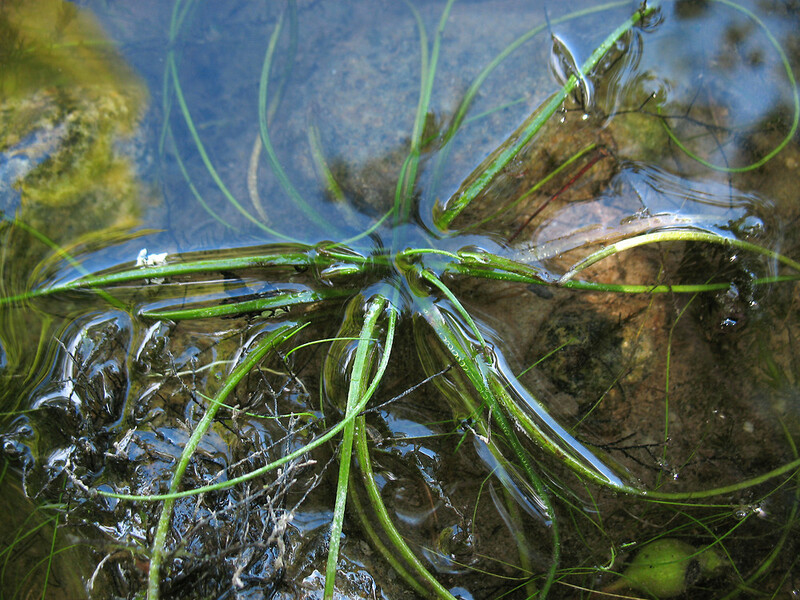 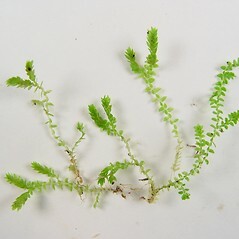 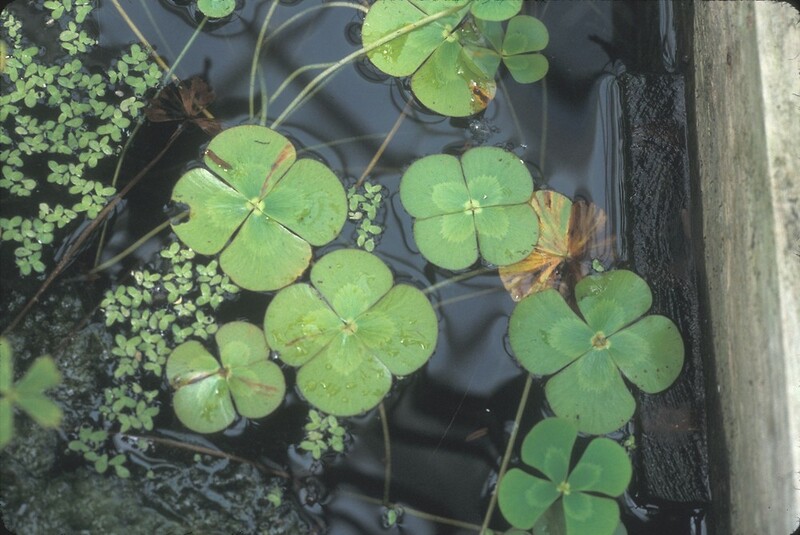 The quillworts (Isoetes species) are small aquatic plants that resemble chives. 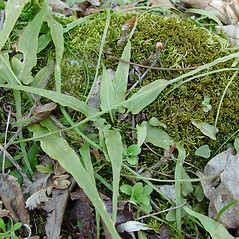 Exceptions You may need to look carefully for the spores, which are sometimes tucked down inside the leaves. 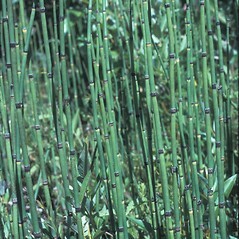 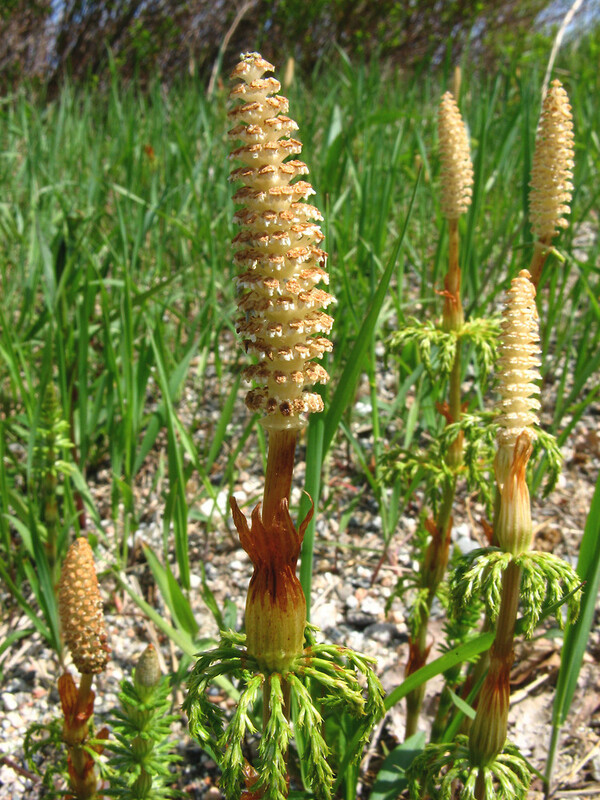 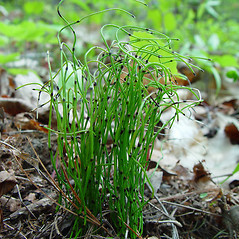 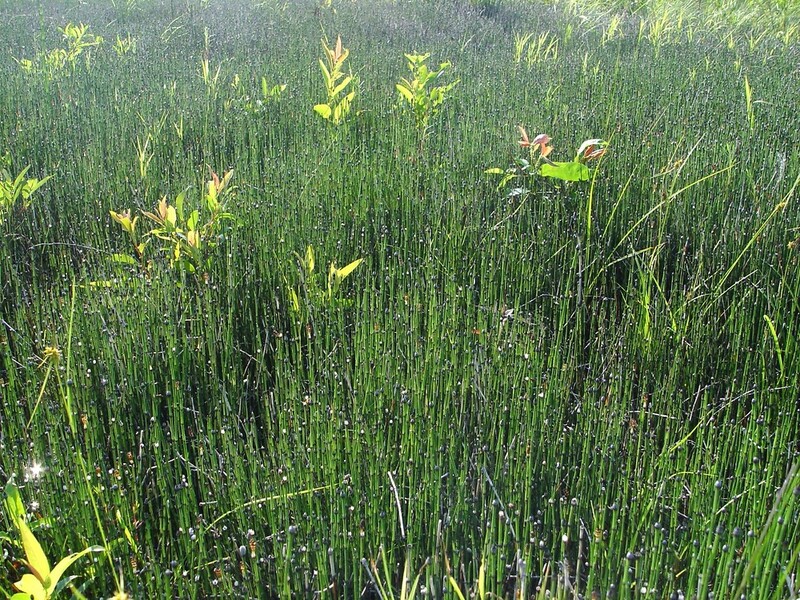 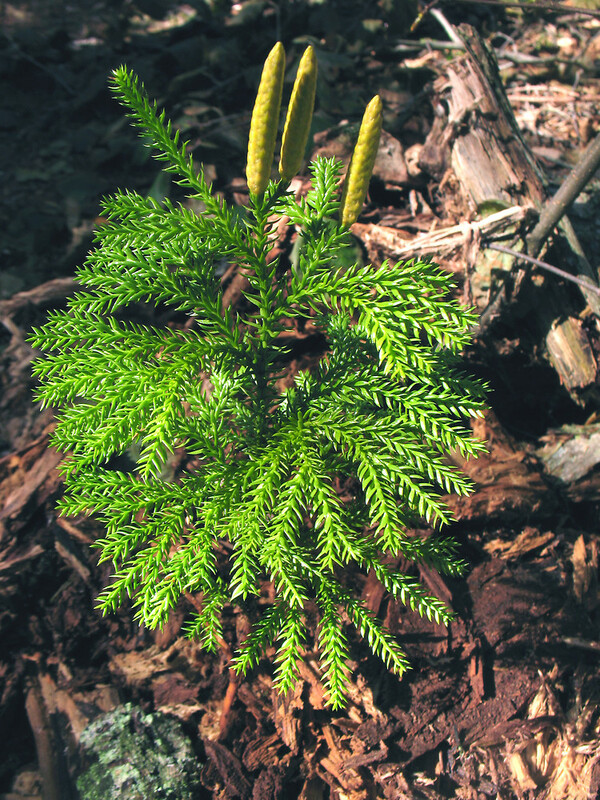 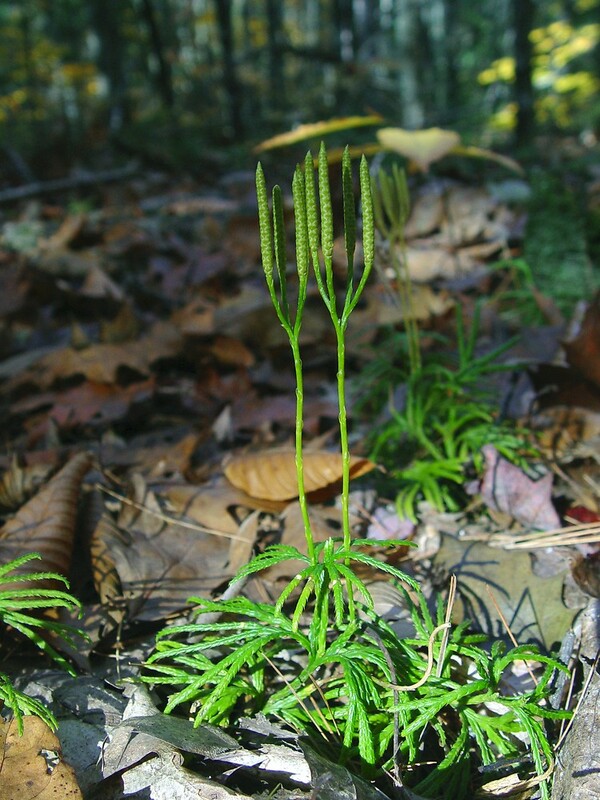 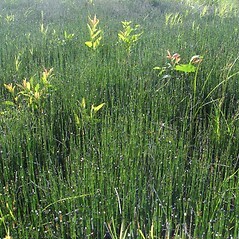 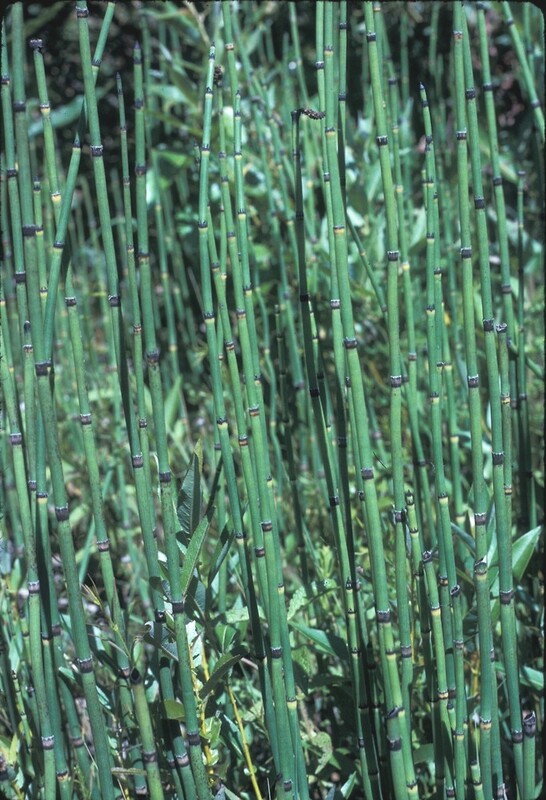 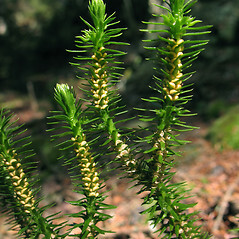 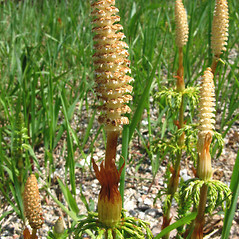 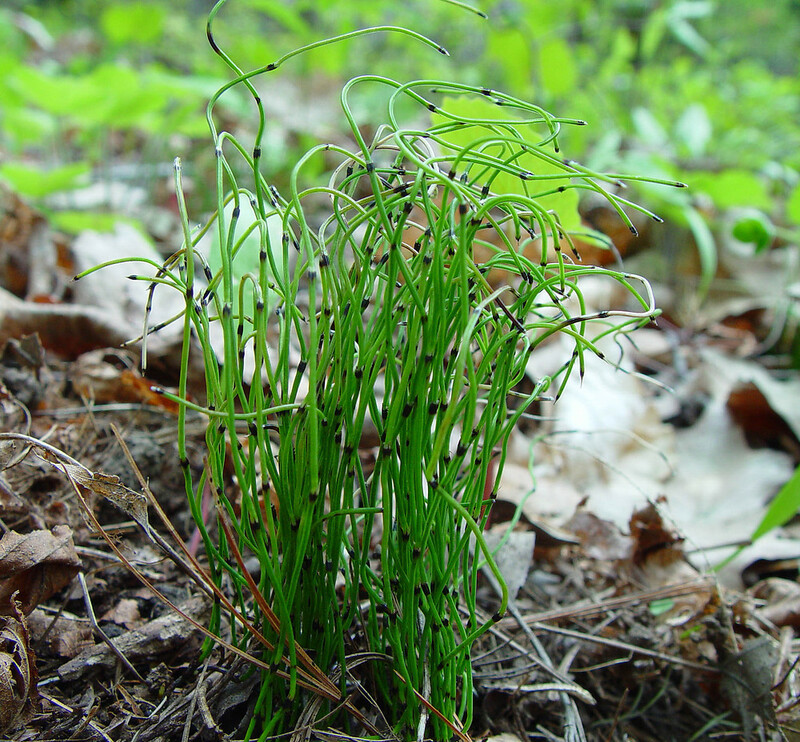 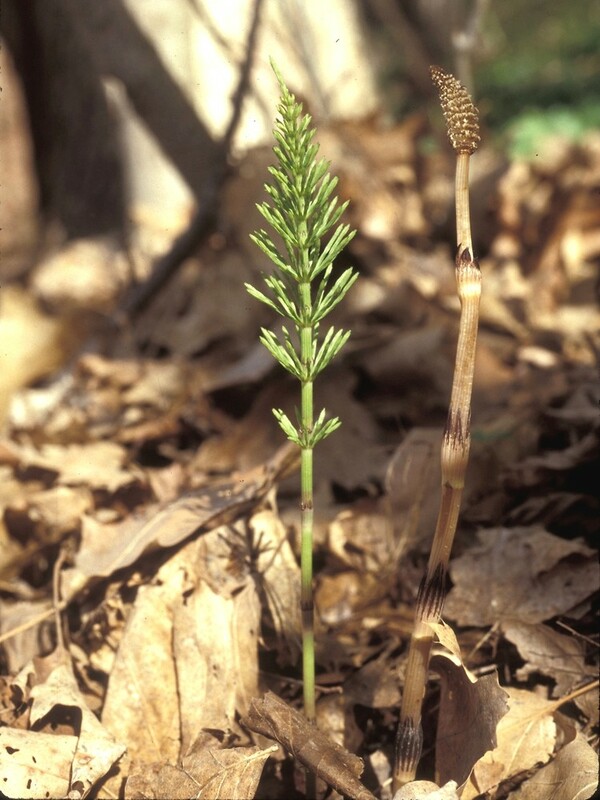 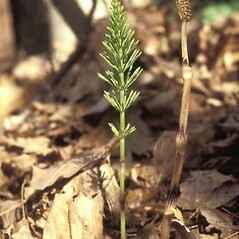 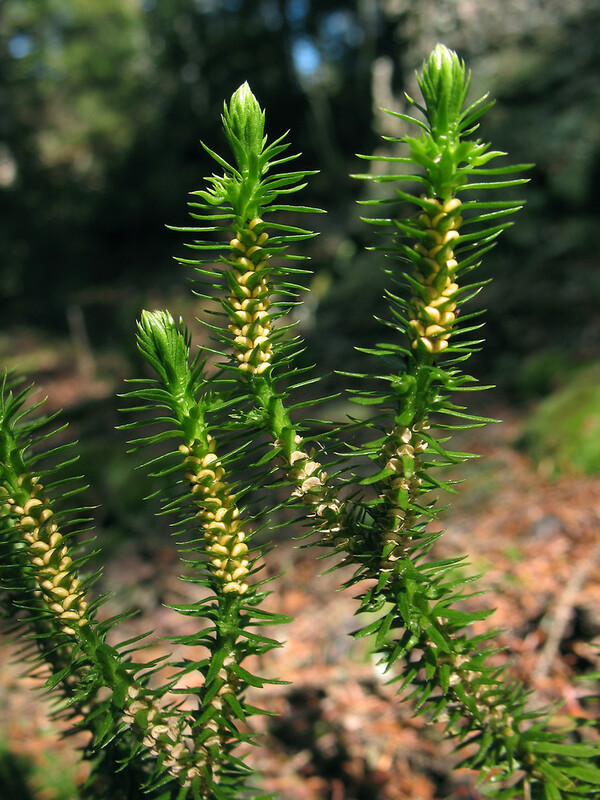 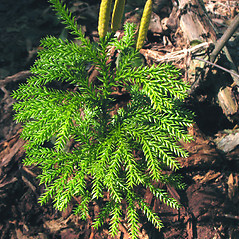 Key Characteristics Horsetails and scouring-rushes are primitive, spindly-looking plants, often growing in moist places, which reproduce by spores aggregated into a spore cone at the top of the stem. 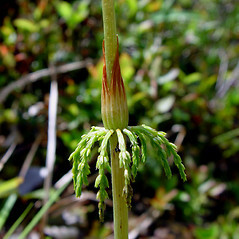 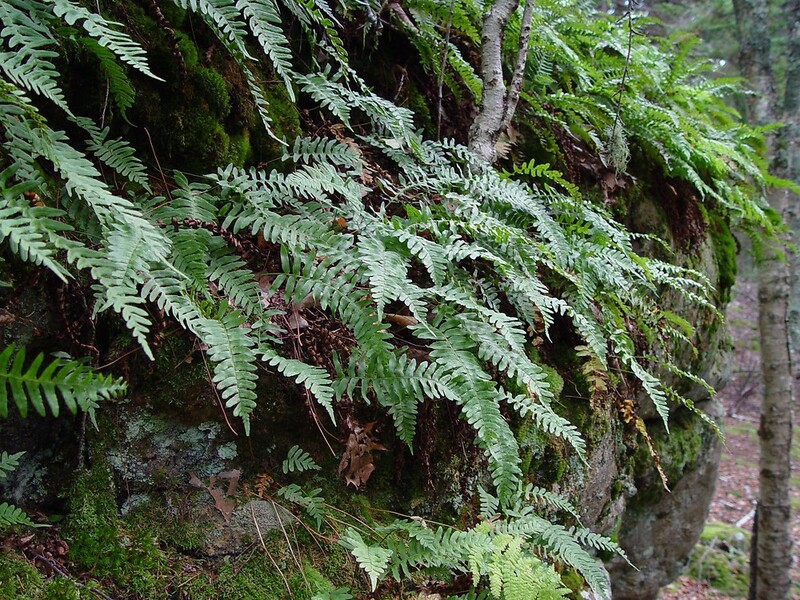 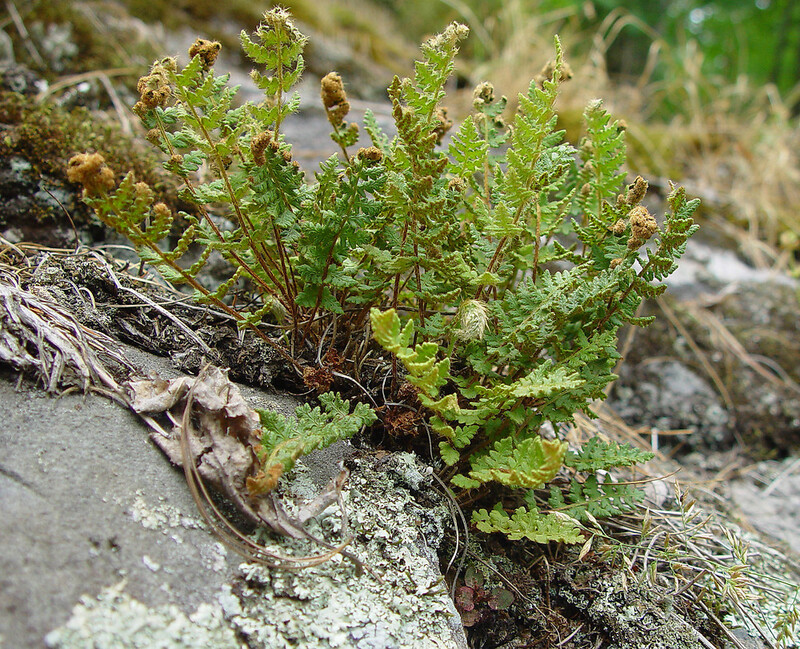 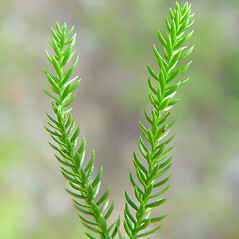 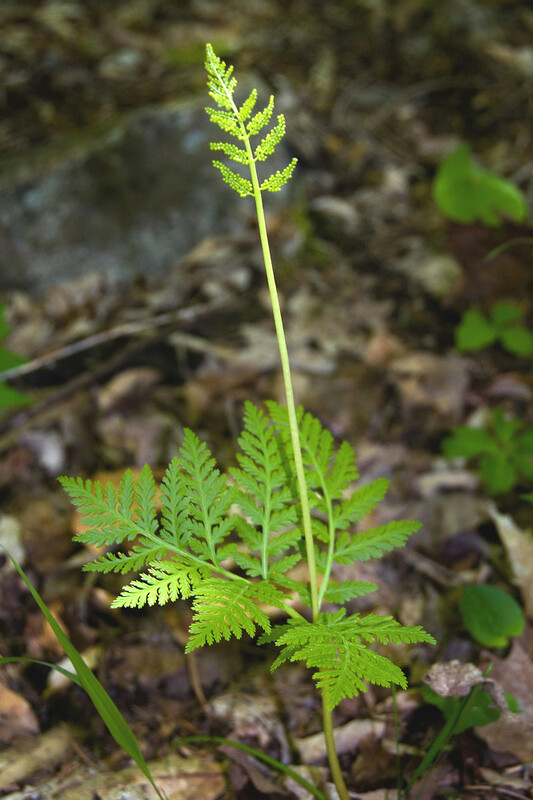 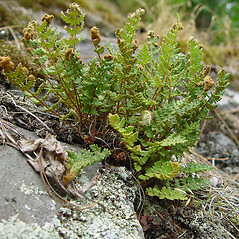 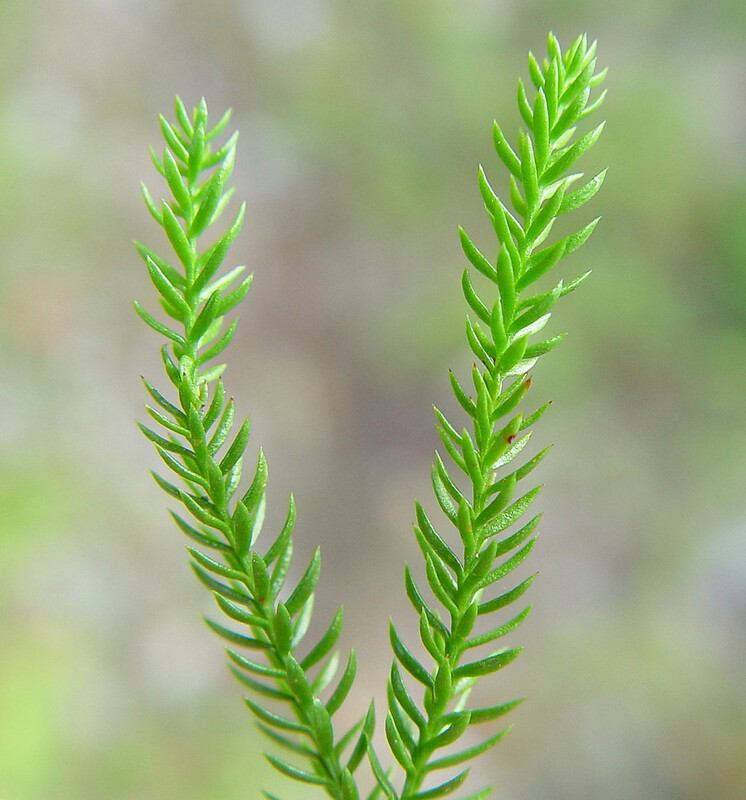 Whorls of tiny, teeth-like leaves occur at the top of the sheath and are found at each node. 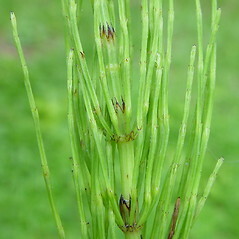 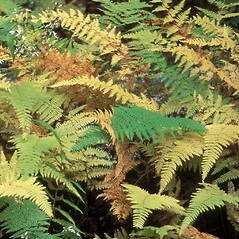 Note the color and number of teeth on the top of the leaves that make up the sheath. 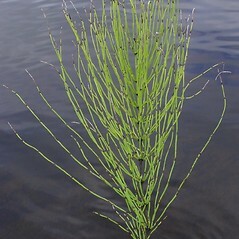 Note whether there are whorls of branches on the main stem, and whether the main stem is hollow. 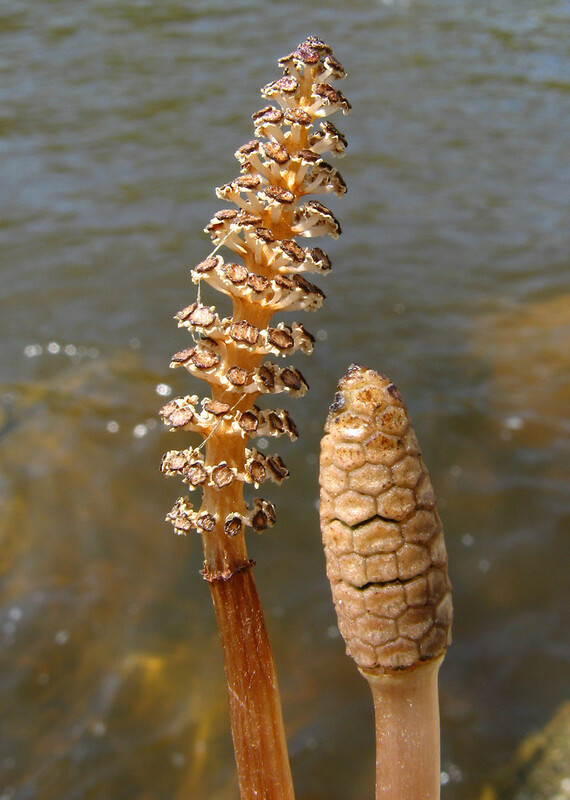 Sometimes spore cones are produced on separate, un-branched stems. 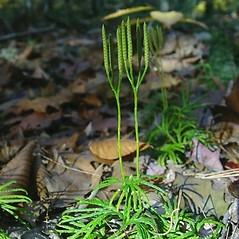 Exceptions Some horsetails can be very small with unusually curly stems. 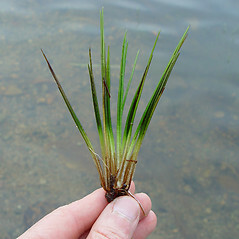 Look at several plants to be sure whether all stems are un-branched or not.